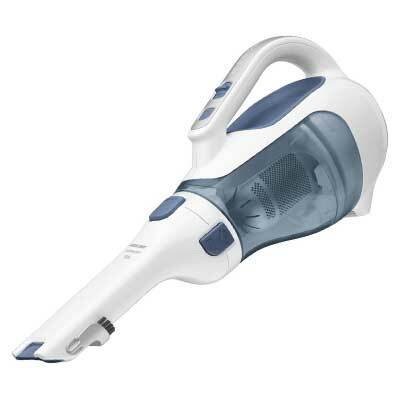 Handheld vacuum cleaners are ideal for small jobs, use in tight spaces, and detail work. 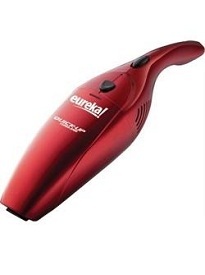 Great for work around the house, and especially great for vacuuming up your car interior too. 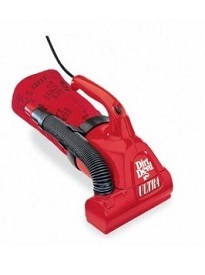 View the top-rated handheld vacuum models overall below. 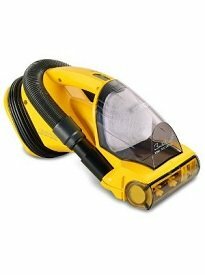 When it comes to vacuum cleaners, each category has its place and a specific role to fulfill in any household. The handheld vacuum is the most versatile. Not only can you use it indoors to clean floors, the handheld can also be used to clean stairwells, furniture and the family car. 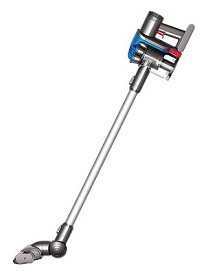 Of course, when it comes to cleaning entire floors and handling big jobs, larger more powerful upright and canister vacuum cleaners can outclean handheld vacuums. However, the larger vacuums, especially uprights without an assortment of specialized attachments for crevices, upholstered furniture and dusting furniture, cannot get into the small spaces and handle those small household tasks that only a handheld vacuum can handle. 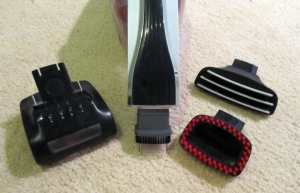 or you can study our handheld vacuum cleaner buying guide. The buying guide points you to the key features of handheld vacuums you need to consider before choosing one - as each of those features directly affects how efficient the models is and how easy it is to use. 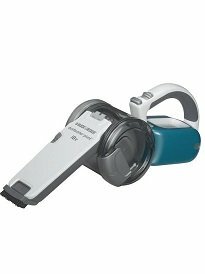 The following list of handheld vacuum reviews contains the top 3 handhelds from the whole range of models we’ve tested. 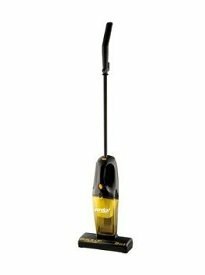 These models provide good performance and good value for money – but of course keep in mind that they are primarily designed for simple cleaning of small messes, pet hair clumps and cracker or bread crumbs. If you’ve decided to spend more time researching the ideal handheld for your needs, then keep in mind these key features that make can make cleaning with a handheld a fun and easy task. 1. 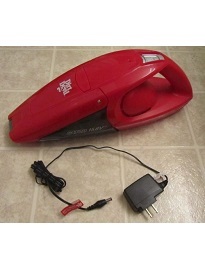 Cord vs. Cordless (Battery Power) – The majority of handheld vacuums run off of a battery. This feature works well for being able to take the vacuum where a power outlet is not readily available as well as not being restricted by a cord length when moving from room to room. The downside of battery powered vacuums is that you can run out of power before being able to complete a cleaning project and then are required to wait anywhere from three to twenty-four hours for the battery to be recharged. If the battery option is desirable to you, look for a model with a long battery life as well as a short charge time. Lithium Ion batteries are considered optimal for long term use. Cords can be desirable if you only intend to use the vacuum where a power outlet is always at hand. They have an endless supply of suction power allowing you to use the machine as long as you want. If you are in the market for a handheld to use in a RV, boat or other areas that require long amounts of continuous suction to clean, a corded machine would be the right choice for you. 2. 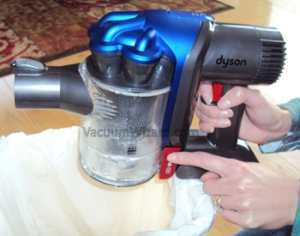 Bagged vs. Bagless – Ideally, vacuums of any size should be bagged according to the vacuum experts we have spoken with. In general, a bagged vacuum will provide better filtration and it also releases less dust back into the air when you change a bag than a dirt cup. But filtration is really important only if you’re planning to use you handheld when cleaning stairs or upholstery. If you just use it in the kitchen for cleaning up quick messes, then bagless handheld vacuums are actually much more convenient. 3. 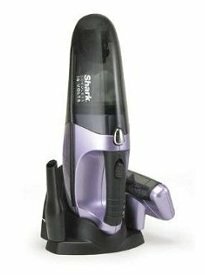 Storage – Determining where you will store a handheld vacuum is important to consider when making a purchase. Our favorite handhelds (Shark SV780 VX33) had charging stations that can be placed on a counter or mounted to a wall. 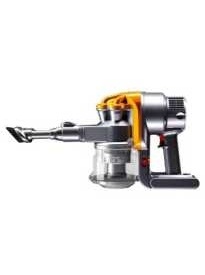 Additionally, we appreciated when the attachments were stored either on the vacuum itself or on the charging stand. This all in one approach to storage allowed us to quickly grab the machine for cleaning. 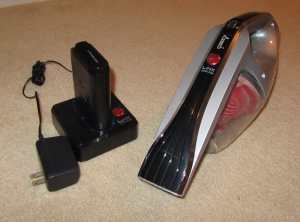 We also appreciated vacuums that allowed us to connect the attachments on the vacuum, allowing for an easier storage. 4. Attachments – Because your specific cleaning needs are unique, it is important that you find a handheld that has the tools necessary to handle your tasks. If you are a pet owner and want to clean pet hair off of your upholstery, a good power brush specifically designed for this task is a must. If you most desire to thoroughly clean your vehicle, look for a vacuum that can handle contours and has a generous crevice tool. If you plan to do a lot of dusting, cleaning your baseboards or furnishings, consider finding a machine with soft or natural bristles on the dusting brush. 5. Filtration – While good filtration is important for all users, superior filtration can be critical for asthma or allergies sufferers. We test all our vacuums with a particle scanner that measures particles emissions by the number of airborne particles (greater than or equal to 0.3µm) per cubic foot. If filtration is an important consideration for you, look for a machine where the read of the particle scan stays the same or ideally goes down as it tests the air coming from the vacuum exhaust. This means that the filtration is either not releasing fine allergens back into the air or if the count goes down, the machine is actually purifying the air as it cleans. 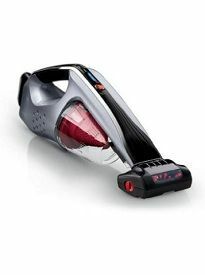 The only two handheld vacuum cleaners that decreased the number of dust particles in the air were Dyson DC35 and Dirt Devil Ultra Power. 6. Stairs – Stairs capture a somewhat grotesque amount of dirt and debris from our shoes. Additionally, they are often one of the highest trafficked area of a home but one of the most difficult to clean with a full sized vacuum. 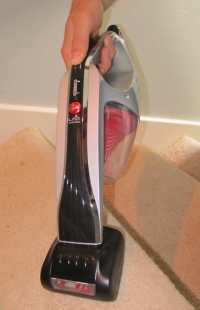 Having a cordless handheld with a power brush nozzle and strong suction strength makes the job of cleaning stairs a breeze. 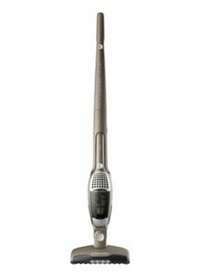 The Hoover Linx handheld is one of those vacuums that did a great job cleaning stairs. Using a handheld on your stairs is not only more convenient, it is also safer. There is nothing to lug up the stairs with you as you clean allowing one hand to be free for maintaining your balance. 7. Car Cleaning – In order for a handheld to be a useful tool in a car, it is important to find a machine with a pivoting head or nozzle that can handle the contours of the vehicle. Additionally, having a generous crevice tool is critical in being able to reach between car seats and into crevices. Keep this in mind when searching for a machine if cleaning your car is high on your list of priorities. And check out our full guide to choosing the best car vacuum cleaner here to see the ideal handheld models for that purpose.